Amazing 2-bedroom apartment with a lovely large swimming pool. The residence is private and safe, with lots of greenery. 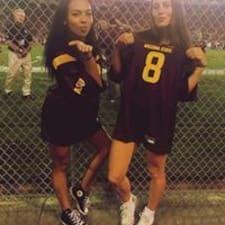 We will do our best to make your trip memorable! 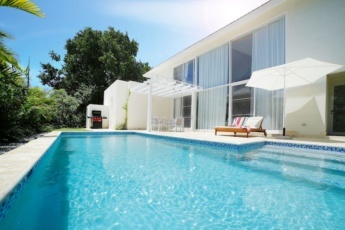 Swim in the huge and clean residence pool, sunbathe and relax. 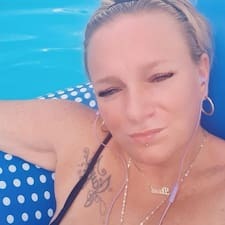 Enjoy the best pool in the area! All the bedrooms provide comfortable accommodation with fresh linens, large beds and AC. Have a good time by the huge residence pool! Airy and spacious bedroom with a gorgeous view from the balcony. Little details make you feel at home. Bright modern bedroom full of natural light. Drink your morning coffee on the balcony and enjoy the views. Clean bathrooms with a set of fresh towels, soap and other essentials. We take care of the details to ensure your comfort. Functional fully-equipped kitchen has everything you need for cooking. Enjoy your meal at the dining table. Large windows give a lot of sunlight and sea breeze. Spend time with your family or friends in this great living room, watch TV or just enjoy the view from the balcony. The comfort of this bedroom will provide you with a healthy sound sleep. Drink your morning coffee on the balcony enjoying the views and the breeze. Book this amazing 2-bedroom apartment and have a perfect vacation experience. People like to stay here because they feel our care about guests. Here you can use the barbecue and have a good time with your family or friends. Enjoy privacy in this bedroom with en-suite bathroom. The kitchen is fully equipped. Cook and enjoy your favorite dishes. Nice place to watch your friend cooking. The apartment has everything you need for a perfect stay. The bathrooms are equipped with towels and other essentials. Spend more time together in this spacious common area. Enjoy the comfort and privacy. These lovely details make the design. There is a parking lot for your car. Enjoy the beauty of Punta Cana. 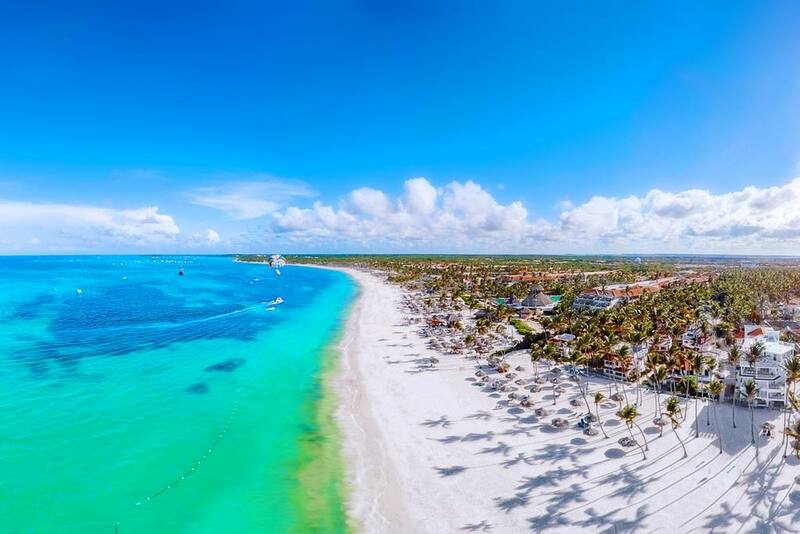 Paradise beaches of Punta Cana are waiting for you. Book this apartment and get a vacation of your dreams. This idyllic place is perfect for a relaxing holiday. Hidden and peaceful location in a lovely area. Spend an unforgettable time in a gated, secure community, relaxing by the most beautiful pool in the area! At this tranquil harbor, with restaurants, bakery, pharmacy, spa center nearby you can feel happiness and fresh ocean breeze! The most central and popular area in Punta Cana! This apartment features an excellent, huge swimming pool and BBQ area for family recreation. The two-bedroom apartment in Arcadian style has enough space to accommodate 4 guests (it is possible to accommodate a 5th person, upon request). Our place is close to restaurants, shops, pubs, and entertainment. 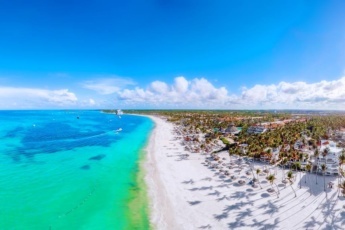 You are 15 minutes away from the famous white-sand Bavaro Beach, a traveler’s interest in Punta Cana, unique for its sand and views. The apartment is very secure and modernly furnished, and provides you with an access to a huge residence pool, the best one in the area. It’s a rewarded place by travelers from different countries by its location, security and comfortability for a family vacation. The apartment accommodates up to 5 guests, so the entire apartment is for your personal use. The territory and the beach is very clean and safe. The apartment has a nice cozy balcony and a view overlooking a big residence pool. 24/7 security, free parking and Wifi internet. Sundeck with lounge chairs available for guests. The bedrooms are very bright and spacious, one of them has a king size bed and the other has a double bed, both with floor-to-ceiling windows. And, of course, the kitchen with stainless steel appliances: large fridge and freezer, a coffee maker, a microwave oven, a blender, and a toaster. The kitchen also has much storage space and has drinking glasses, bowls, pots and pans, cutlery and more. A dining table for 4 is also there. The living room is combined with the kitchen. The living room has a set of a very comfortable sofa with pillows and a coffee table, a full HD TV with cable TV and free wireless internet. There is also a balcony terrace with a coffee table and a stunning pool view. Everything that you might need you can buy in local stores, supermarket, and grocery located within a few steps from the apartment. You can walk down the streets to enjoy activities. Enjoy this cozy apartment and have a perfect vacation. 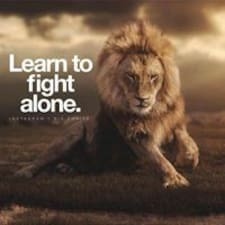 Feel free to ask any question. Make an inquiry right now and we will provide you with the best options for your perfect vacation. Please read the full description so you will have a full understanding of what a beautiful place it is. 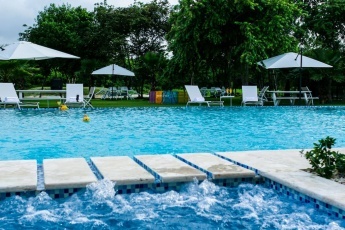 This apartment offers the best pool in the area, well designed, and just a few steps from the apartment, which belongs to the residence. Just take your towel, and enjoy your stay to the fullest! Upon your arrival, your personal assistant will check you in. We will also provide you with personal information and personalized guidance. Take advantage and ask us about all the activities in the area! We can organize any activity depending on your priorities. Therefore, you will have total comfort and the best memories ever. Just send me a message, I will not only care about everything – I will provide you with all necessary and detailed information. 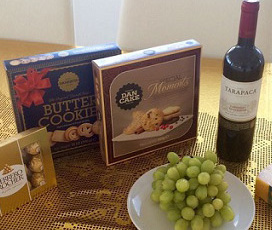 For our guests, we organize a FREE excursion to Don Lucas (upon request and availability) – Factory with Luxury Cigars, Premium class Coffee, natural chocolate, and RUM – taste everything and bring some gifts to your family and friends. => Booking an apartment with a trusted and high-reviewed host, you will always get more and this guarantees you an excellent vacation! To plan your activities or just get a good advice from a person who knows everything about this island, send me an inquiry. Do you believe in the existence of a perfect combination of tranquility and emotional recreational experience? The World-famous, unique white-sand beaches and exceptional Caribbean experience are waiting for you! The apartment is located close to the world-famous Bavaro Beach in the heart of Bavaro/Punta Cana. 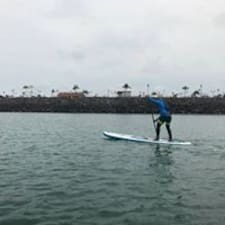 International cuisine restaurants, bars, stores, clubs, and, of course, the best white-sand beaches and the ocean, where you will get an unforgettable experience of parasailing, scuba diving, snorkeling, kitesurfing, – everything is within walking distance. Just enjoy your stay! What a great place to stay for a great price! Un lugar súper agradable, relajante, para pasar un momento de tranquilidad. Excelente atención por parte de las anfitrionas. Lugar totalmente recomendado. Volvería sin pensarlo. Everything Punta Cana offers the best apartments and provides personalized service in Punta Cana. Book an apartment nearby to the beach in Punta Cana with a direct booking Punta Cana on our website without any commission fee. Yes, you can. 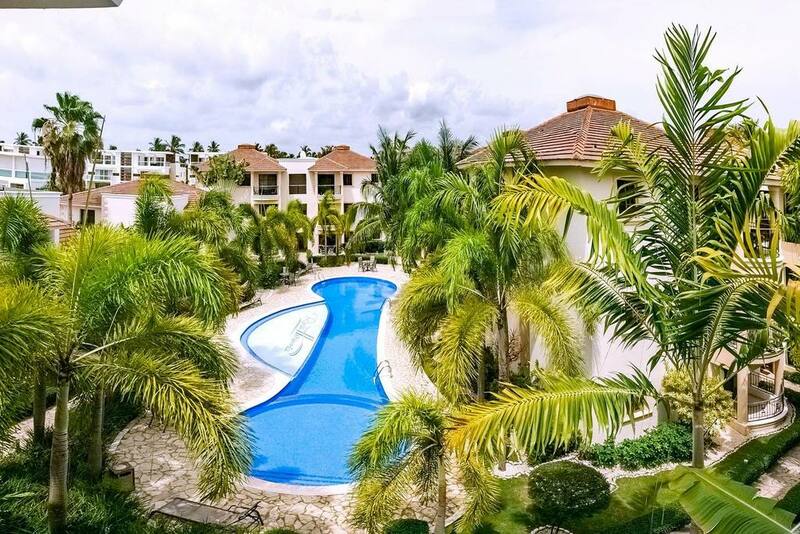 This luxurious beach condo Punta Cana has a spacious living area, 2 bedrooms. It accommodates up to 5 persons. 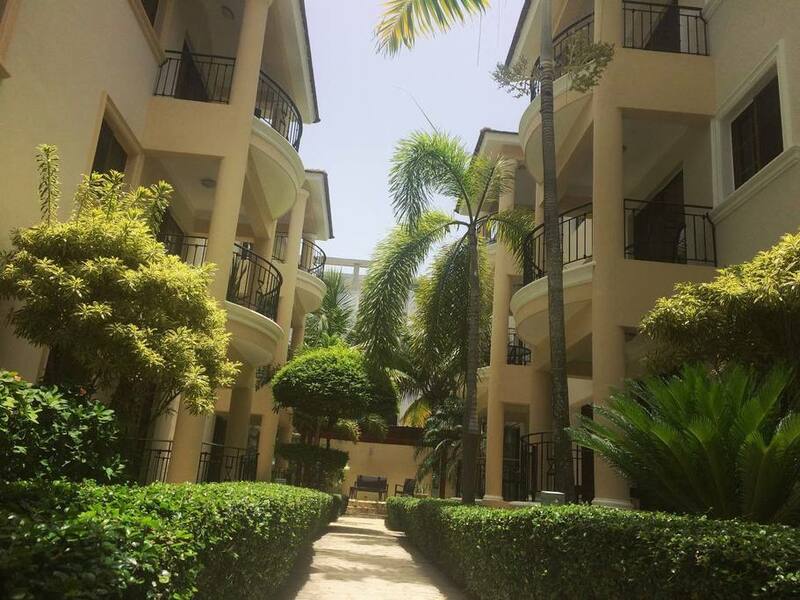 And moreover, this 2 bedroom apartment in Punta Cana is set in a gated secure community, with a pool and all necessary amenities. Everything Punta Cana offers a wide range of tours andthe best excursions in Punta Cana for every taste to bring new vivid impressions. 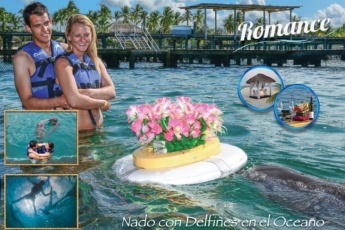 Please, check out the list of Punta Cana excursions on this web site and book it online. Who will help me to deal with problems during my stay at this beach property Bavaro? 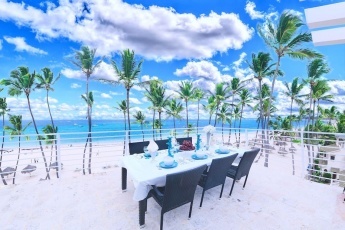 Is beach condo Bavaro available for a long-term rental? Actually, you don’t need a car, because this apartment nearby to the beach in Punta Cana has a great location, you’ll have everything you need at walking distance. 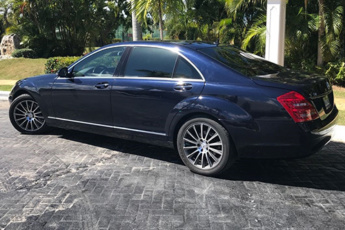 However, if you are planning to travel across the Dominican Republic and discover all the beaches, Everything Punta Cana can offer you a car rent service. We provide personalized service in Punta Cana. Everything Punta Cana can organize Punta Cana airport transportation for you. We will pick you up from the airport and drive you to your amazing Punta Cana beach property in a comfortable car. No stress with local taxis. 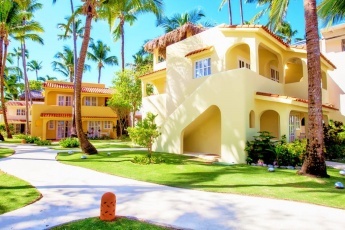 This cozy apartment nearby to the beach in Punta Cana is ideal for a group of up to 5 people. 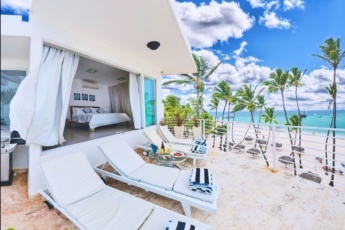 Are your beach properties Dominicana comfortable to stay at? 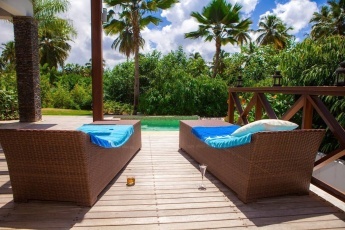 Absolutely, you will have a chance to check it in decent restaurants close to this beach property Dominicana.